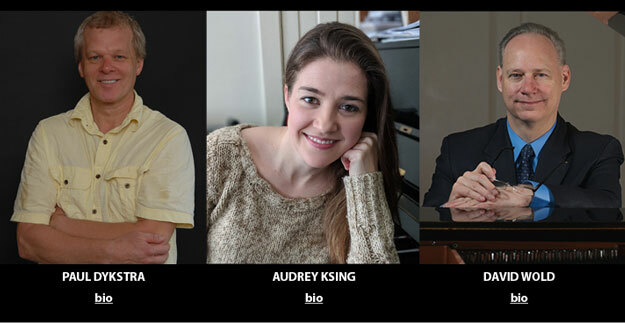 Enthusiastic Piano Students, ages 9-17, are invited to apply for a Fun and Challenging Nine Days with dynamic and highly experienced instructors, Paul Dykstra, Audrey Craft, and David Wold. Focusing on Practice, Performance, and Group Activity, for the Young Pianist- Beginner, Intermediate, and Advanced- the two academic weeks aim to help cultivate a life-long love of music, performance, and the piano. Featuring a Formal Concluding Student Recital, Ceremony, and Reception; other highlights include a Quick Study Competition for all ages and abilities; Master Classes; Supervised Practice and Instruction; Theory; Music Jeopardy; and Duets. This unique piano camp enhances each student’s approach and strategies for successful piano study, practice, and performance on many levels- All in a peer environment with outstanding instruction and related group activities. The ninth and final day, Thursday, July 18, will be an extra half-day Beach Trip or Games and Outdoor Activites Day, from 9:30 AM to 2:00 PM, in Celebration of our Ninth Year. The Rye Congregational Church, 580 Washington Rd., Rye, NH, will be available almost in its entirety throughout the session- an outstanding facility, enabling students to be in supervised practice; private lesson; or one of several classes throughout the day. 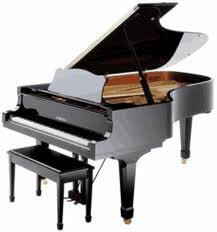 The camp will provide two excellent and tuned 7 foot concert grand pianos, including a Schimmel grand piano; a Yamaha U3 or the like; and at least 14 digital pianos. The Schimmel grand piano is the same instrument artists perform on in the Abendmusik Fine Arts Concert Series, which the church hosts. Students will have the opportunity to explore the church’s 24 rank All-Pipe Organ, as well. Tuition includes the Piano Intensive Day Camp from 9:30 AM to 4:30 PM, Monday through Friday, July 8 - 12 and continuing Monday – Thursday, July 15 - 19 (Eight Academic Days- No Weekend); a ninth and final half-day for a Beach Outing or Games and Outdoor Activities Day, on Thursday, July 18; all private and group instruction; lectures; dedicated practice sessions; and the concluding Student Recital, Ceremony, and Reception on Wednesday Night, July 17 - all aspects of the program except for Lunch and any incidental cost of music. Tuition is $645 if the application is submitted on, or before, April 15. After April 15, the cost is $695. Please Send Written Inquiries to: David Wold, 24 Silver Street, Dover, New Hampshire, 03820 USA.